Ariane has just released her first book, “I Shall Remember Thy Holy Name from Generation to Generation.” This piece shares the journey of a Serbian-American woman as she “awakens to Christ’s call.” It delves into her Serbian roots and her unique spiritual journey of rediscovering the depth and truth of her ancient Orthodox Christian faith. Visit generationtogenerationbook.com to learn more. Ariane's book inspired the creation of a blog: decaniroyaldoors.org. 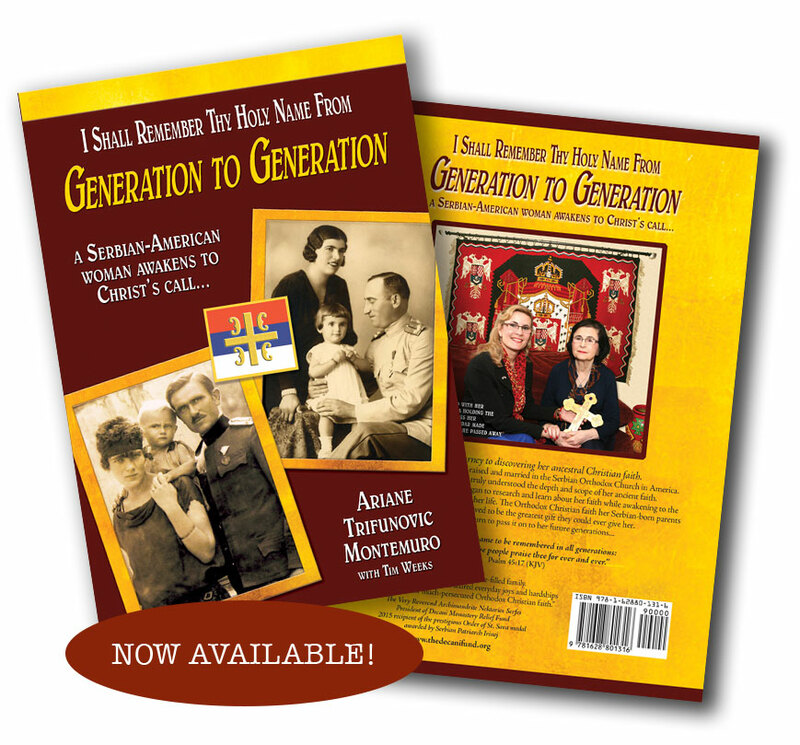 Her Saint story in the book prompted people to dialogue and share their own personal miracle stories of the Saints of the Orthodox Christian Faith.